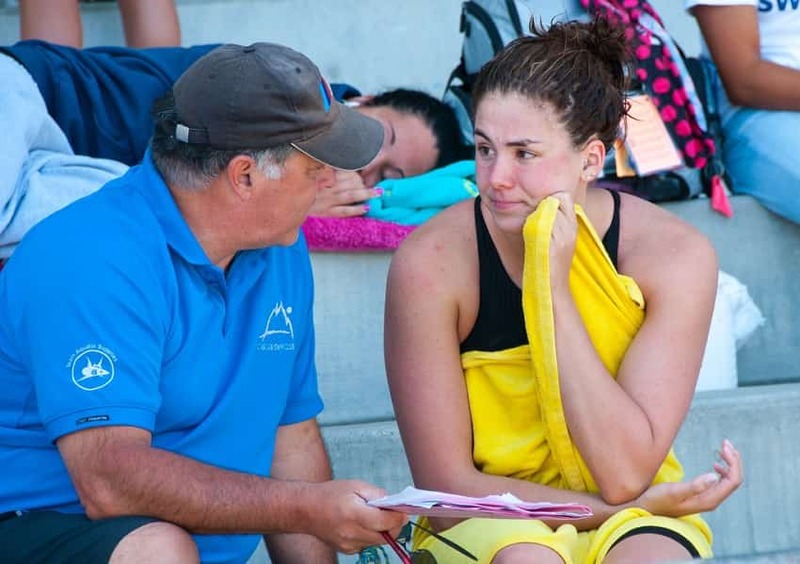 Swim coaches invest a lot of time, thought and energy into helping their athletes develop into fast swimmers. Whether it is breaking down technique, to long weekends away for swim meets, to wearing the hat of counselor/life coach/trainer, swim coaches do a lot for their swimmers. 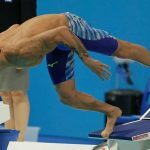 And as such, it can be frustrating having a swimmer that is talented and motivated who just can’t seem to train with the consistency necessary to get to that next level. The answer lies in an age-old tool that swimmers including distance great and Olympian Brian Goodell, former world record holder and 4-time Olympic gold medal winner Janet Evans, and more recently, sprint phenom Caeleb Dressel and distance titan Katie Ledecky, all swear by. 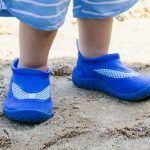 If you want the best for your swimmers (and who doesn’t? ), then getting them to write out their goals and workouts is the easiest way to help them stay accountable to their swimming, keep them motivated and engaged over the long term, and encourage consistency in training. 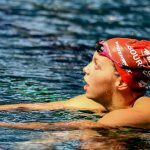 There are a host of reasons that logging workouts can help a swimmer crush their practices regularly. During my own experience as a national finalist and Olympic Trials qualifier it gave me a few moments of therapeutic reflection. It kept me motivated. And it helped push me during those tough workouts simply knowing that I would have to write the practice (and how I did!) later on that evening. 1. Logging workouts shows them the value of the process. 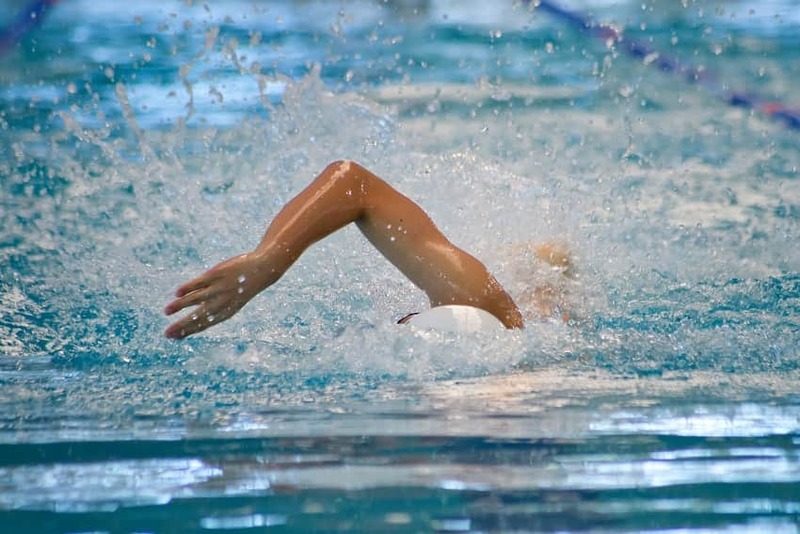 Young athletes, and swimmers are no exception, train for and expect results. They want to see that when they work hard they will be rewarded for it. 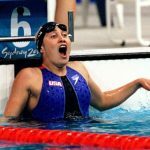 Successful swimmers are able to trust the process, and this comes about by understanding how they progress, what leads to successful outcomes (and what doesn’t), and having the patience and faith to see it through. 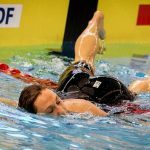 Having a training log helps show swimmers how long and how hard they will have to work in order to see the results they want from their training. 2. A training log will give them ownership of their swimming. 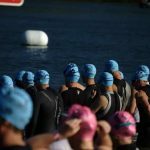 The most productive coach-swimmer partnerships come when both the coach and the swimmer are fully invested in the training process. When the athlete is more than just a receiver of instructions, but an active partner in creating positive circumstances for better training. The coach is there to provide instruction and guidance, but next-level improvement depends on an athlete who is willing to examine their own performance for trends, to see what works, what doesn’t. 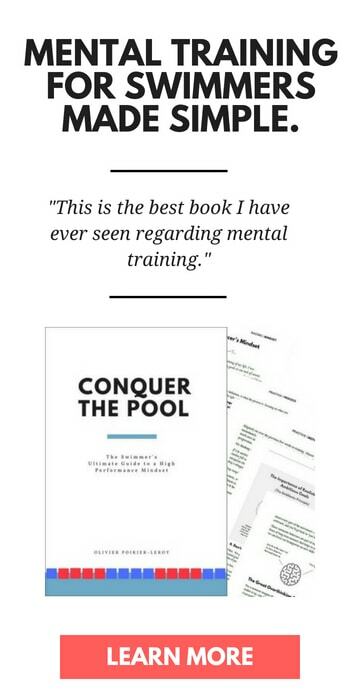 A training log is a perfect vehicle for this kind of introspection, and empowers the athlete by having them evaluate their training, question and make connections within their performances, and to encourage an atmosphere of learning and refining. 3. It will help them be more consistent in their training. Study after study has shown that self-monitoring is extremely effective. And yet, how many coaches ask their swimmers to take a few minutes a day to monitor their own training? As a coach you understand how frustrating it is to watch a swimmer bang out a few awesome workouts and then fall off the map for a week or so, only to restart the cycle over and over again, missing out on valuable swaths of quality training by being inconsistent. 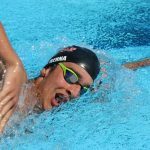 A training log will help the swimmer become more self-aware to how much they are actually showing up to practice, and simple things like rating effort at the end of each session turn being consistent at practice into a game. 4. It will help them set smarter goals. There are fewer things more crushing and disheartening than wild expectations that don’t match up to their training history. The swimmer, full of misplaced hope, gets up on the blocks and throws down a time that doesn’t live up to what they hoped to swim (but is actually quite representative of the work they’ve done in practice). Writing out their workouts, and seeing how hard they have actually been training in the lead-up to the big meet provides a more realistic framework for setting goals. Additionally, the training log should serve as home base for the weekly and day-to-day goals. Progression is the name of the game when it comes to improvement, and having a written record of their goals and targets will keep their performance trending upward. 5. It will help you coach them better. 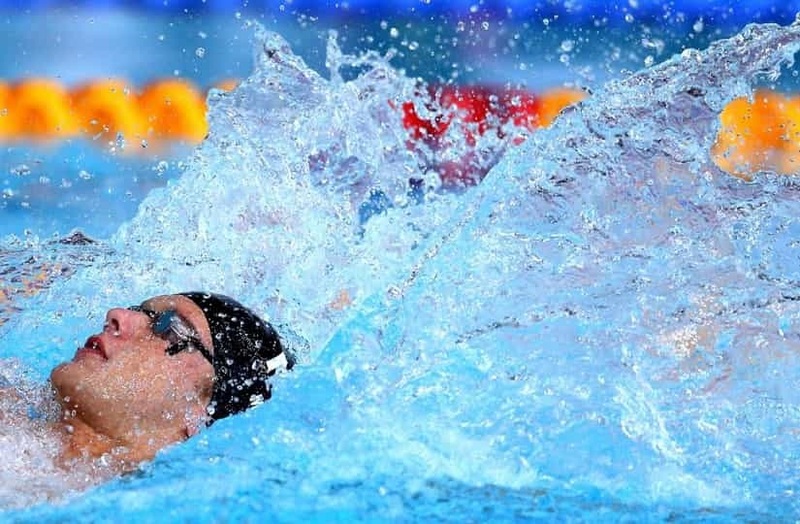 Why a swimmer performs great one day and poorly the next isn’t always apparent. Using a logbook, along with regular check-ins and evaluations, helps you get a better idea of what’s going on with a swimmer. Things like sleep, nutrition and stress-levels all play an important role in their training, and aren’t always easily apparent as a source of a bad workout at the time. Katie Ledecky, in the run-up to her gold medal winning 800m freestyle in London, used her log book as a communication tool with her then coach Yuri Suguiyama to better communicate how she was feeling in the water, helping Suguiyama better plan her training. You provide the instruction, and they put in the reps.
You’ve got the instruction part down. 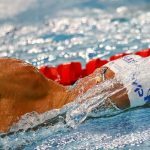 Now let a training log help you help your swimmers get more consistent in putting in the necessary reps to get the most from their swimming. YourSwimBook is a 10-month log book and goal setting guide made specifically for competitive swimmers. Programs like Auburn, Nation’s Capital, Oakville Aquatics, Crimson Aquatics, St. Peters Western and more have all used the book to get more from their swimmers. It can help yours too. If you’d like a free estimate for a team or group order of YourSwimBook quickly fill out the form below and I will be in touch with you faster than Ryan Hoffer can swim 25-yards of underwater dolphin kick. We offer complimentary team branding, and of course, discounts on group and team orders! For more information on team orders you can click here, or fill out the form below.